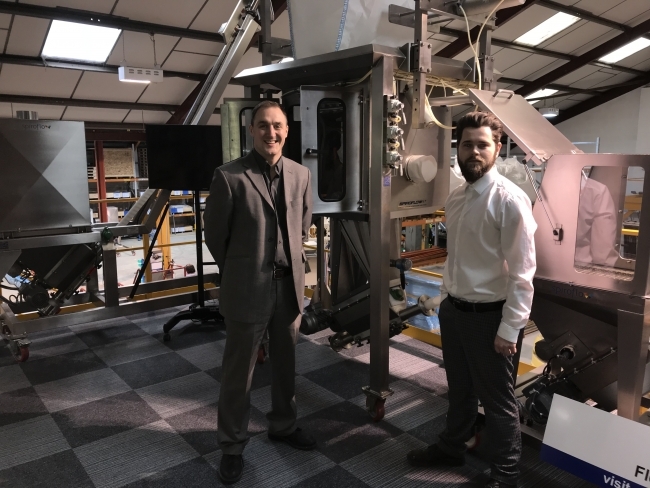 Powder handling and dry solids processing experts, Spiroflow, has recently announced its commitment to young people development and learning by registering two members of their senior management team as STEM Ambassadors. Sales director, James Podevyn, and development engineer, Craig Hollings, will be actively involved in encouraging and inspiring young people to progress further in STEM subjects. The firm’s announcement coincides with British Science Week, taking place currently. The STEM learning programme reaches 100% of UK secondary schools and further education colleges, plus 75% of primary schools, with approximately 2 million young people engaging with STEM learning programmes annually. After working with STEM Ambassadors, STEM learning has said that 90% of young people increase their engagement with STEM as a result. “Engineering has helped create the complex technical systems that make modern life possible and reinforcing this significance with young people through being STEM Ambassadors, tomorrow’s talent can help the industry evolve even further. We are delighted to be part of this powerful initiative,” added Podevyn. Spiroflow designs powder handling systems, including specialised conveyors and bulk bag handling equipment for the food, chemical, minerals and other process industries. Spiroflow also manufactures bin activators, Aero Mechanical Conveyors, Tubular Cable and Drag Chain Conveyors, Vacuum Conveyors, Bulk Bag Fillers, Ingredients Handling and Weighing Systems. The company’s technical and engineering expertise has led to it developing an international reputation for an unrivalled range of products with state-of-the-art control systems.